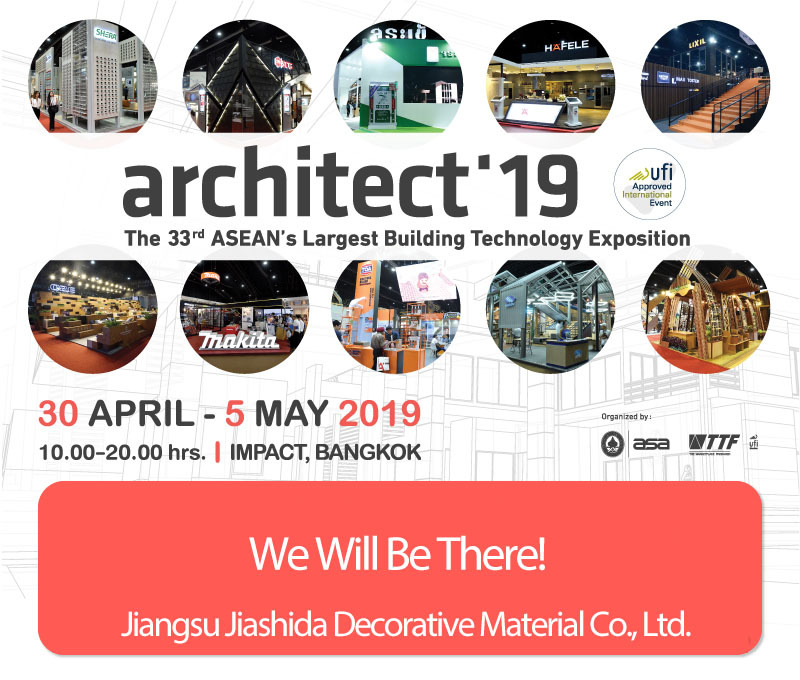 Meet us at The ARCHITECT 2019 in Bangkok - Jiangsu Jiashida Decorative Material Co., Ltd. The General Manager and Marketing Director of our company will visit the ARCHITECT 2019 held in Bangkok. If you want to know the product information of our company face to face, welcome to meet with us during The ARCHITECT 2019. If you can leave your information on our website, we will prepare samples and color books for you. Thanks!